Composable Links are the iconic tiles which allow you to personalise your modular Nomination bracelet or watch. Create unique and original jewellery which tells your story, or give one to the people you love as a reminder of a special event. 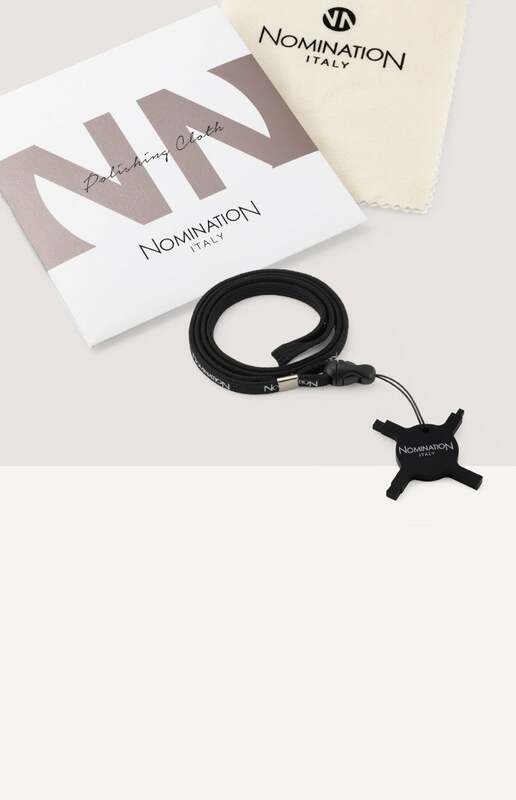 Nomination Links make up an incredible collection of letters and symbols for every occasion: all are strictly Made in Italy, forged from precious materials and elegant detailing such as sterling silver, yellow and rose gold, semiprecious gemstones, enamel and pendants which make each Link unique. Choose from among a huge selection of symbols and charms if you want to express yourself in an original way. 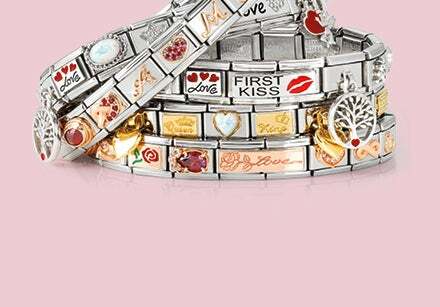 For a message of love, embellish your Nomination bracelet with a romantic engraving or heart. To create a good luck charm as a gift for someone you care about, choose Links with their birthstone or zodiac sign. Discover the wonderful world of Composable! Family is a source of joy. They’re a part of our everyday life, they’re always present at important events, and they help us out in times of need. Family is always there for us and they deserve to be celebrated: this is why we offer you a huge selection of Links so you can express all facets of your life together. There are Links and charms dedicated to moments which make us smile each year, like Christmas and birthdays, and those which celebrate once in a lifetime events like graduation, marriage, and birth. Each member of the family has their own Links: for your Mum and Dad, grandparents, brothers and sisters and children, choose Classic or Double Links as a constant reminder of how much they mean to you. But Composable Links don’t just offer special messages for your immediate family: among our vast collection you’ll find the perfect Links to tell your best friend how special they are, and Links which make a nice gift for your niece or nephew, starting from €25. 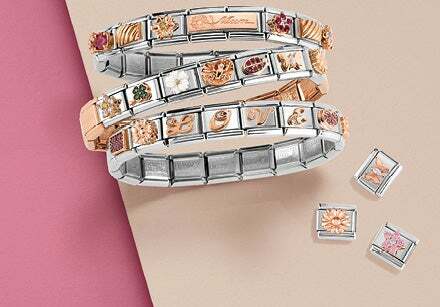 And of course there are tons of Links just for you: Glitter Nights, La Vie en Rose, and Cashmere are just a few of the Link collections embellished with sparkling details, flowers and messages which celebrate the glamorous side of life. Discover them all.